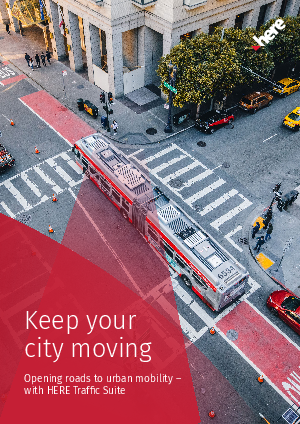 With urbanization set to increase rapidly – the UN predicts that by 2050, 68% of the world’s population will live in urban areas – discover how, with HERE, you can keep your city moving. And make it more safe, efficient, and green. HERE is already working with governments around the world to keep traffic flowing and pollution down. In this guide, discover how, with our growing network of sensors and over 30 years’ experience, we can deliver the real-time insights to keep you abreast of what’s actually happening on your roads, so you can better meet government safety and mobility targets.